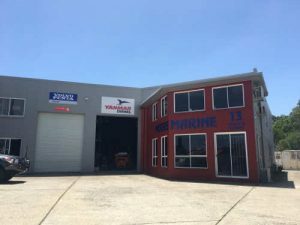 Moore Marine is proud to offer a leading Yanmar range of boat engines for sale with in Australia, NZ and the South Pacific. For pleasure boats throughout the world Yanmar enjoys an unsurpassed reputation in the recreational boating community. Yanmar marine diesel engines are purpose built to cope with the most hostile of salt water, humid environments encountered in the bilge. From just 9 horsepower to almost 1000hp, there is a genuine Yanmar built marine diesel to suit your boat and your style of pleasure boating from our range of boat engines for sale to our markets. Not only do we have boat engines for sale, Yanmar manufactures virtually all engine components and subassemblies in-house. This way you can be assured that your Yanmar engine is designed and manufactured to the strictest tolerance and highest quality. Hailed as setting new standards for the boating industry, the leading-edge, second generation BY2 series engines continue at the same output as their predecessors but incorporate many upgrades, including the reprogramming of the ECU from torque to speed control, providing even smoother operation and better synchronisation on twin-engine applications. Choose from shaftdrive or the hydrodynamic YANMAR ZT350 sterndrive. These tough but lightweight, common rail electronic BY2 diesel meet the latest EPA and RCD emissions regulations. Developed in close association with car manufacturers BMW, the new Yanmar BY2 Series engines come in both four and six cylinder configurations and deliver car-like performance from common-rail diesel technology. Renowned for cutting edge diesel performance around the world, BMW Motors has provided the engine base for the new Yanmar BY2 Series. Leaders in their respective fields, Yanmar and BMW have combined to deliver a range of four and six cylinder engines that are lighter, cleaner and far more compact than the models they replace. The two, four-cylinder BY2 Series engines are rated at 150mhp (110kW) and 180mhp (132kW) at 4,000 rpm from a 1.995cm3, intercooled and turbocharged diesel engine. Second-generation common rail direct injection technology, featuring magnetic vertical injectors, ensures optimum performance and outstanding fuel efficiency. The engines also include a CAN bus system using NMEA 2000 protocol. For applications in larger boat, boaters can select from either of the six cylinder, 2.99 litre Yanmar BY Series models, one rated at 220mhp (162kW) and the second 260mhp (191kW). Every facet of the new BY2 Series Yanmar engines is an improvement on the models they replace. The direct injected, intercooled and turbocharged engines are so refined that they easily meet the stringent EPA Tier 2 and European RCD emissions regulations. Yanmar continues to push the power-to-weight boundaries with the new BY2 Series engines boasting dry weights of 250kg for the four cylinder and 310kg for the six cylinder models. Not only are they similar in weight to comparable petrol engines, they also share a similar rate of acceleration as their petrol counterparts. The new Yanmar BY2 shaft drive Series engines are available with new lightweight Yanmar branded marine gear by Kanzaki. Yanmar Marine diesel engines are respected around the world for their outstanding performance, compact design and unmatched dependability. Original equipment adapter. Yanmar 6LPA-STZ(T)P2 engines as a single package purchase. i) fuel/water separator water level. ii) seawater flow at intercooler, and iii) waste-gate valve blockage (boost pressure) Panel C and D offer more sensors again, namely for, iv) heat exchanger fresh water level. The aim is to go faster on less fuel, while at the same time keeping a far better eye on all those vital engine health functions. Light in weight, small in size, high power output. This engine contains many high performance features sure to appeal to the serious motorboater. The overhead cam design develops max hp at higher revs, allowing smaller, smoother running propellers. The model even features 4 valves per cylinder for enhanced breathing and top end performance. A waste-gated, water-cooled turbo really makes things happen when the throttle is put down hard. To reduce embarrassing black smoke at these times, the 6LPA engine has a boost-compensated distributor-type fuel pump, and burn efficiency has been improved as well. Two stage springs in fuel injectors reduce injection noise. Ladder-frame, full block-width crankshaft bearing cap structure reduces lower block area distortion and fights bearing slap. The belt drive makes for big cuts in timing gear noise, while the 12 balance-weight crankshaft and rubber engine mounts soak up much of the usual diesel vibration. Combining a Yanmar Diesel with a MerCruiser or the new Yanmar ZT350 sterndrive gives a wide variety of engine and propulsion unit choices to better suit your boating needs. Installation is straightforward, either for a new boat or for re-powering. Designed, built and proven by Yanmar, the all-new ZT350 sterndrive is the perfect transmission match for the BY2 diesel engines, unsurpassed for new installations and ideal for repowering. This quite, hydrodynamic sterndrive has a new type of hydraulic clutch for exceptional smoothness, precision forged gears for extra-long life, two counter-rotating propellers for superb acceleration and tight-hold tracking and large rudder dimensions for superior handling, whether your boat is single or twin installation. The new Yanmar BY2 sterndrive Series engines are available with new Yanmar ZT350(E) sterndrive along with the Bravo1X & Bravo2X sterndrives. Yanmar Marine diesel engines are respected around the world for their outstanding performance, compact design and unmatched dependability. Developed in close association with car manufacturer BMW, the new Yanmar BY2 Series engines come in both four and six cylinder configurations and deliver car-like performance from common-rail diesel technology. Reliability & Economical efficiency & comfort for customers dedicated to maritime activity.Men who go to sea in the foulest of weather to earn their livelihood, insist on Yanmar to deliver reliable power at minimal cost. Professional fishermen, fishing charter boats, tourist operators… irrespective of the application.The fuel cost component in the overall cost of transportation has become more important, and the call for energy conservation has become louder.Over many years, Yanmar has developed engines displaying exceIlent fuel economy, and has actively promoted fuel conservation technologyYanmar is the preferred power choice due to their low operating costs, low emissions, quiet operation and purpose built design.